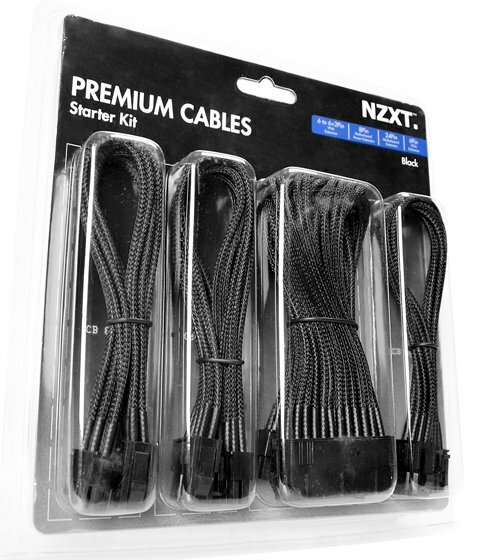 NZXT delivers a Premium Cables Starter Kit, which includes four finely sleeved cables. The kit will ship in March for $24.99. NZXT, a company built on realizing the dreams of gamers worldwide, is proud to announce the Premium Cables Starter Kit. Designed so that PC enthusiasts no longer have to seek out cables individually, the Premium Cables Starter kit includes all the pivotal pieces for a new build including the following cables in lengths of 250m. "Whenever I start up a new build, it's always such a hassle to go through and individually order every cable to get up and running" said Johnny Hou, Founder of NZXT. "With the Premium Cables Starter Kit, you have everything in one convenient package so you can complete the build quickly and game on."